Of all the fine arts, cinema is considered by some to be the most conservative. The pressure to conform to traditional storytelling structure is common. For animated films, narration can actually be a limitation—at least that’s how up-and-coming animators, Concordia film students and graduates perceive the state of their industry. Four current and former Concordia student-directors from the Mel Hoppenheim School of Cinema recently made their debut at Les Sommets du cinéma d’animation, one of Montreal’s acclaimed film festivals. From Nov. 25 to 29, Les Sommets featured animation from diverse platforms—everything from work by well-known animators like Laurent Laban to students honing their art. Mike Horowitz and Max Woodward presented a work called “Composition in Cubes,” which Woodward described as an “unofficial music video” to a song by BADBADNOTGOOD, a jazz trio based out of Toronto. The pair met at Mel Hoppenheim in their first year, and used the piece to tackle the issue of marrying animation styles and breaking traditional narrative rules. From a less technical point of view, Woodward was interested in blending stop motion and 2D animation into one fluid technique. 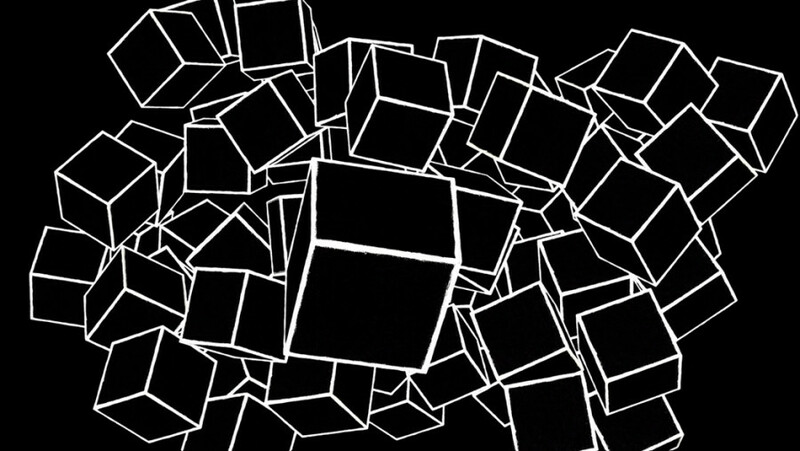 They channelled both styles effectively by animating the movement of cubes, tracing and drawing over them. Narrative was less of a concern than art and style. “Extra Champignons,” Lori Malépart-Traversy’s film, has a very similar filmmaking perspective to Horowitz’s and Woodward’s film, yet falls on the opposite end of the spectrum in its execution, replacing cubes with mushrooms, and jazz with a group of classical guitarists. When asked what prompted the inclusion of mushrooms, Malépart-Traversy explained. Malépart-Traversy is no stranger to festivals either, with her film “Sparky Ketchup” making its rounds through Canadian festivals a couple of years ago. 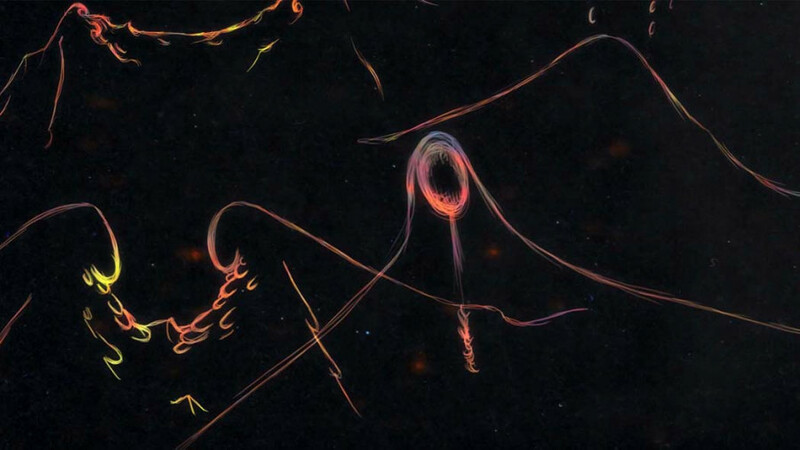 Marie-Noelle Moreau Robidas came to Les Sommets with “Quid.” The short film is based on the theory of vision in which eyes emit light at a subject, which pierces the matter, reflecting an image back to the viewer’s eyes. “I was very intrigued by this concept, and I think I play with that,” she said. Using everyday sounds and oil pastel paintings layered into digital images, Moreau Robidas attempted to create an imaginary world for the viewer to immerse themselves in. All three films have creative independence, yet in the background, the artists struggled with similar issues. In a field such as animation, presenting work with a narrative layer is expected, rather than challenged. Experimental films are not always welcome. Malépart-Traversy credits this to an expectation placed on films in general. “You have to have something that drives the spectator to somewhere. It can be interesting as something completely abstract, but there has to be some path,” she said. Horowitz credits the animation program and the use of narration for opening proverbial doors. His teachers encouraged experimentation, with limitations. “I feel like a lot of people are passionate [about narration] because they grew up watching Disney films. It’s always going to be there, that influence,” Horowitz said. Most animators’ natural inclination is having a narrative or a variation of Disney-style.